The Dollar, Getting Pounded By Sterling? The US Dollar Index has been winding up within a trading range and looks ready to make a move. The problem is that it is wound up near the middle of said range with little indication of which way it will go. On the one hand the data has been weakening, inflation is receding, and outlook is dimming which are all bearish for the dollar. On the other hand the US economy is strongest among the developed nations and the FOMC is ready to hike rates should inflation rear its head again. The EURO seems to be gathering strength for a move higher versus the dollar. 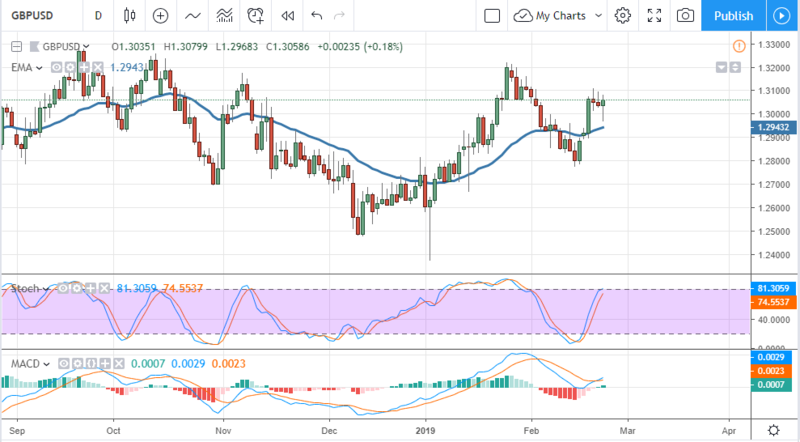 The single currency has recently bounced off support at the 1.290 level and swinging higher on bullish momentum. The move confirms a bottom at this level and is supported by the indicators. The MACD and stochastic are both moving up from bullish crossovers and firing strong buy signals. The only thing holding the pair back is the moving average which will probably be broken very soon. A move above the EMA would be bullish and likely take the pair up to 1.1400 and 1.1500 at least. The GBP/USD has had a bullish bias for some time and looks like that is still in place. The pair is in an updraft that may become trend and heading towards resistance. 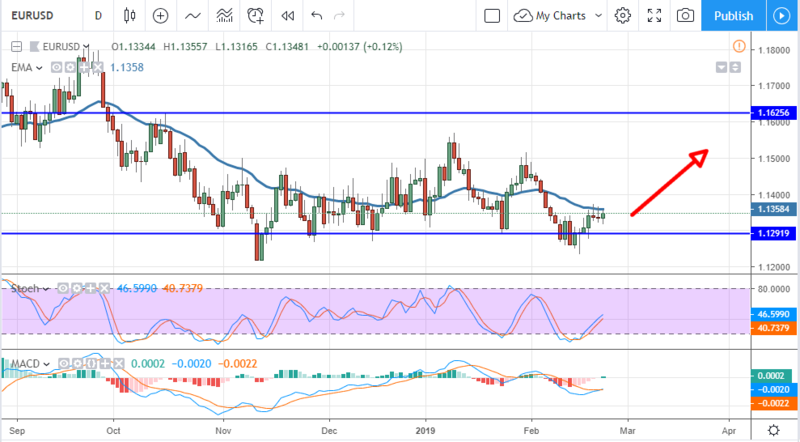 Resistance is 1.3100 and 1.3200, both of which are likely to be reached in the near-term. The indicators are both bullish and showing crossovers in support of upward movement. The only caveat is that 1.3100 is a solid resistance target that may hold prices in check. That being said, a move above 1.3100 will hit 1.3200 at least, 1.3400 is not out of the question. 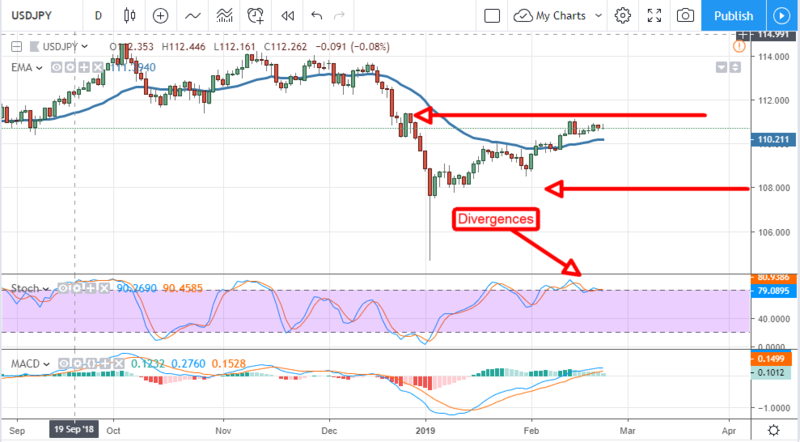 The USD/JPY has been trending upward since the beginning of the year but that trend may be over. The pair is now at resistance near 110.25 where it looks like a major decline is brewing. The indicators are highly divergent from recent highs and suggest an underlying weakness that would confirm downtrend over the longer-term. 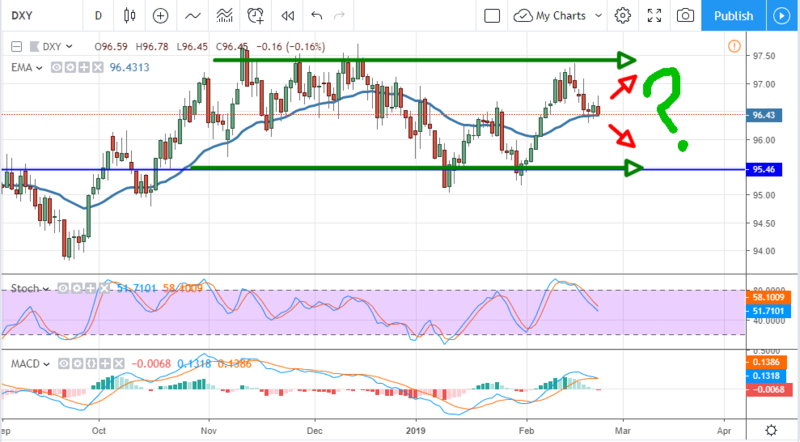 A fall from this level would confirm this outlook and probably lead to a significant decline in the USD/JPY over the next two to four months. My target, provided decline is confirmed, would be 108.00 and 106.00 in the near to short-term.